Back in 1982, music video was still very new to many artists. MTV had only been up and running for a year and there were many households throughout the USA who did not have the channel. There would have been no way that having it on any of the base televisions would have even remotely considered. Therefore, the only music video I got to see was if I happened to catch “America’s Top Ten” and that wasn’t something I went out of my way to watch, unlike “World Championship Wrestling.” So, it was just luck of the draw that I managed to catch it on one Saturday. 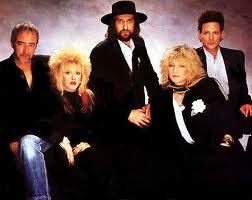 That week, REO Speedwagon and John Cougar had the only songs I thought of any worth in the top ten but then Casey Kasem showed the video for the new single from Fleetwood Mac, “Gypsy.” I liked the song, thought the video was okay and was glad to hear that they had put out a new album. Enough of the negative because it is still an enjoyable album. One thing that does come over from the “Rumours” album and I’ve always loved her dearly for it, is the eccentricity of Stevie Nicks. It’s her vocals on “Gypsy” that made me check out the album in the first place. She does a similar job on “Straight Back.” That is the first track where Buckingham stops being introverted with his guitar and plays a decent solo. That combination makes it the best track on the album for me. If it was up to me, I would have left the first four tracks of this album off and started it with “Gypsy.” From there on is where the album shines with tracks like “Hold Me” and a little bit of “Second Hand News” humour on “Empire State.” The closer, “Wish You Were Here,” is where Lindsey finally gets into full swing with the guitar making it the best song contributed by Christine McVie. That track gives an all well that ends well feel to things. 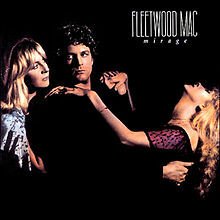 My advice to anyone who wants to listen to “Mirage” by Fleetwood Mac is to not think about “Rumours.” The albums don’t compare and you may feel disappointed. If you listen to it with an open mind, you will find the album very much enjoyable. It was still one of the better softer rock albums in 1982.